Joseph Abboud offers a classic fit with this Super 120s wool tuxedo. Enhanced with satin-covered buttons, the tuxedo jacket with notched lapel is paired with flat-front trousers with a satin stripe down the leg. 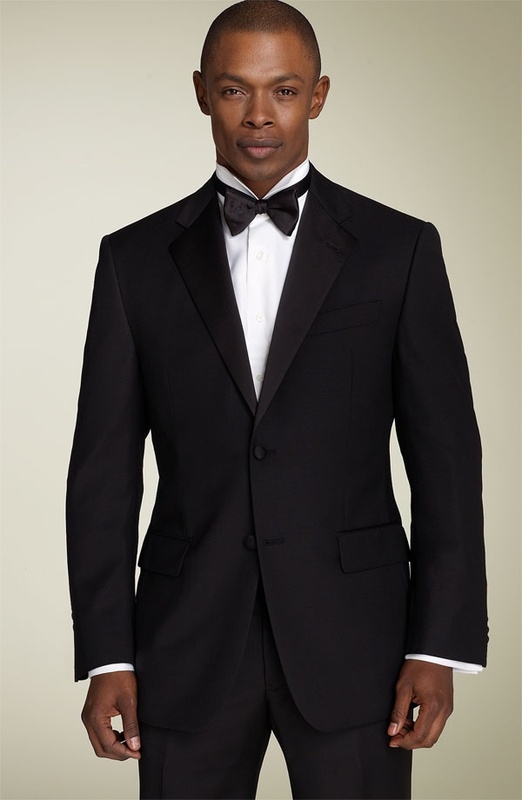 Offering a timeless look to help you look your best, this tuxedo is available online now through Nordstrom. This entry was posted in Suits and tagged Joseph Abboud. Bookmark the permalink.